Sunday morning buttermilk pancakes made by Hubby. He’s the breakfast person around here, I’m the clean up crew. It’s nice not to have to cook right away in the morning. My Starbucks City Mugs from our trip to France/Belgium/Netherlands. For some reason I started picking on or two up on holidays in whatever country we were in. I have quite a few now though I was not impressed that the Starbucks in Bruges was sold out when I was there. I had to buy one off of that nasty ebay. Talk about price gouging. 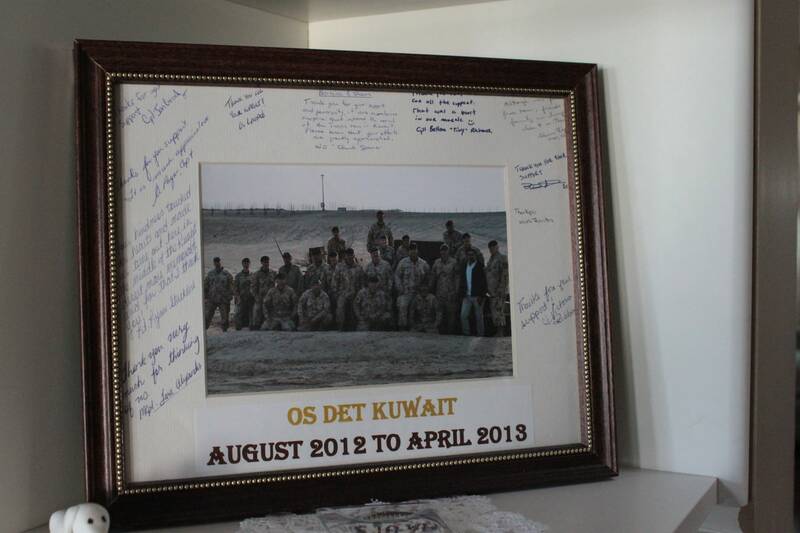 A Beautiful thank you picture from some Canadian soldiers in Kuwait. One of our friends had a buddy that was over there and arranged to have special Christmas packages sent over for a morale booster. I made a little care package of candy, coffee and magazines and sure didn’t expect this in return! 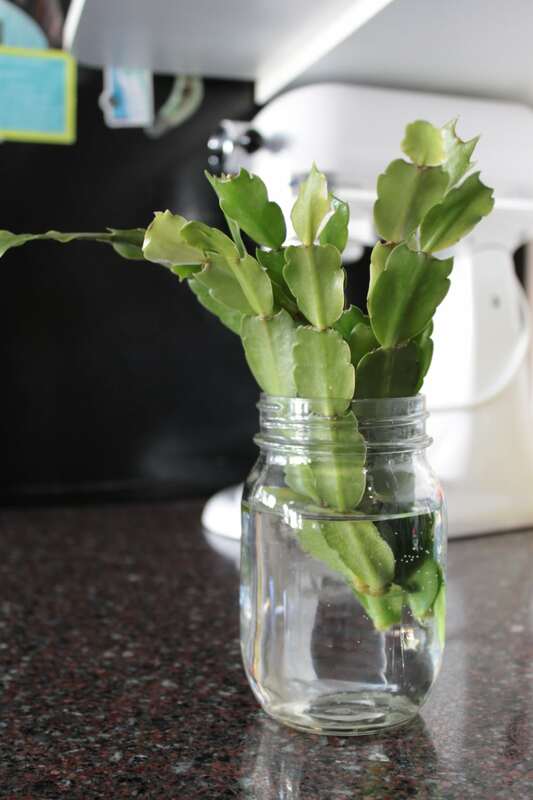 Some Christmas cactus clippings I got from a friend. She says she has several colours in one pot. What colour (s) do you think I have? So that’s it. Fairly simple I guess as not much changes in my kitchen. Maybe next month I’ll have herbs in those pots! Oh you like all the guys I like! Hahahaha. 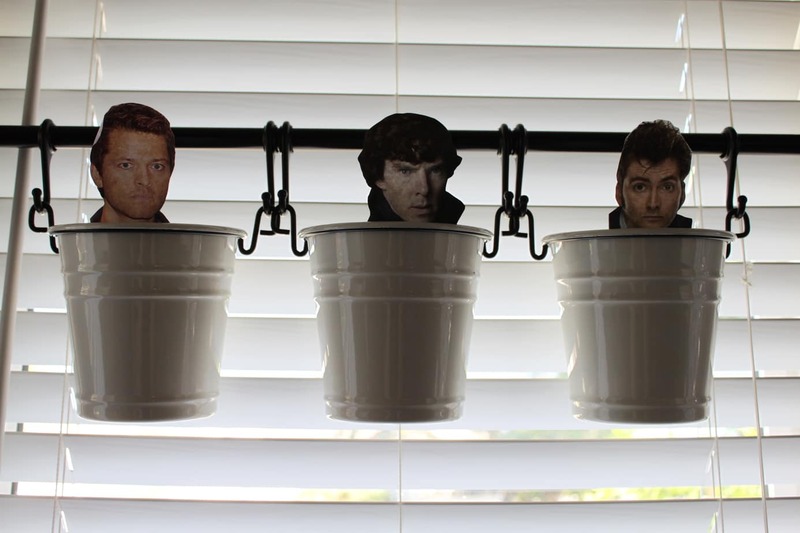 Herbs…or Tennant and Cumberbatch? I’d probably stick with the latter, to be honest! 🙂 Have you seen BC in the latest Star Trek movie? He has the most amazing voice. Love the idea of making pancaked on the sandwich press, and how fabulous to get that photo back from the soldiers! It was very kind of you to be so supportive of them, and obviously they appreciated it enormously! I haven’t seen it yet but kid number two was there right away. She’s a huge fan and dresses as Sherlock for cosplay. 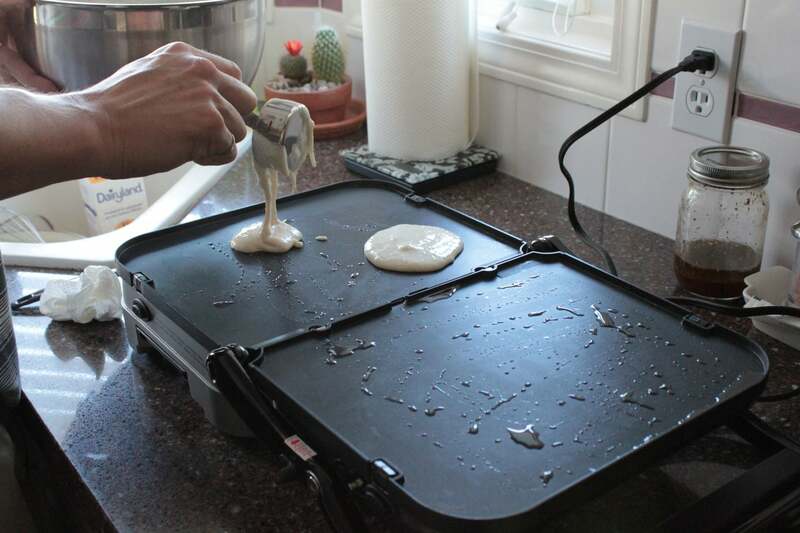 It’s a neat gadget, the cuisinart griddler. It comes with a grill side and a flat side as well. I rarely use it to make paninis but I guess I should! The kids are home for summer hols right now so that would be a treat for them as they are so sick of cold sandwiches in school lunches. One of my favourite paninis is pear and brie YUM! I think I get to meet one of the soldiers very soon…I’m excited to have had the opportunity to help and they were all very appreciated. I was told the minute all the pressies were opened, the loot was distributed within minutes! Your kitchen and you look like a lot of fun! I always wait until after a farmers market to do my IMK post because my garden is just not putting out yet. My son has a collection of starbucks mugs from where my niece travels- I was so happy when he moved out with them. Not that he moved out – but that they were no longer taking up so much space in the kitchen- I think he has 15 of them now. heh, yeah they do take up a lot of space. I didn’t picture the rest of my collection..those were just from our recent trip! Funny about the garden. This is the first year I did a ‘community garden’. I was a bit late planting because we were in France, then it was sold rain when we got back. 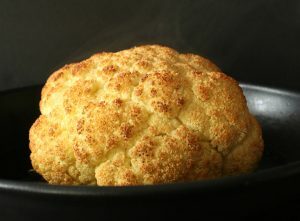 So everyone else is enjoying their vegetables but me. I think I will soon be able to pick some lettuce though. How beautiful is Louis! And I love your photo. How thoughtful of you – and them. Aww thanks. He is a great dog, though as a dachshund he also has some quirks..lol. I actually have two and was planning on featuring the other in my July post. G’day! Used to love buttermilk pancakes on Sunday mornings, true! Have very fond childhood memories and of the Christmas cactus which was one of my mum’s faves too! 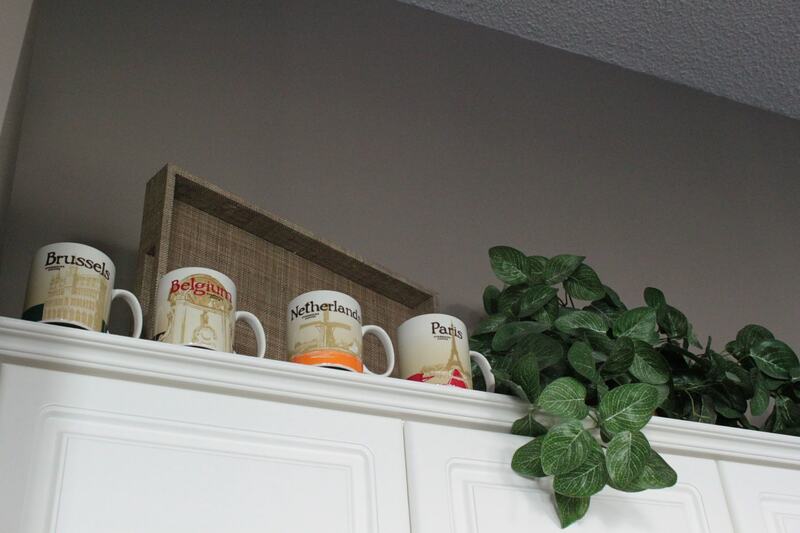 Thanks for providing a peek unto your kitchen with a unique view! I’m hoping I’ll find a spot for that Christmas cactus…my house is pretty shady so plants aren’t doing so well. Almost feel like cutting down some trees! Welcome 🙂 This is only my second month and my kitchen isn’t too exciting or at least I don’t think it is. My friend said she had several different colours in one pot so I guess I won’t know until Christmas. I love that you can be organised enough to cook pancakes for breakfast. Something I aspire too. It all seems like a good idea until morning dawns. I am not a morning person. Thanks for a peek into your kitchen. On weekends we try and do a little more for breakfast. We reverse roles. Hubby cooks and I clean up. 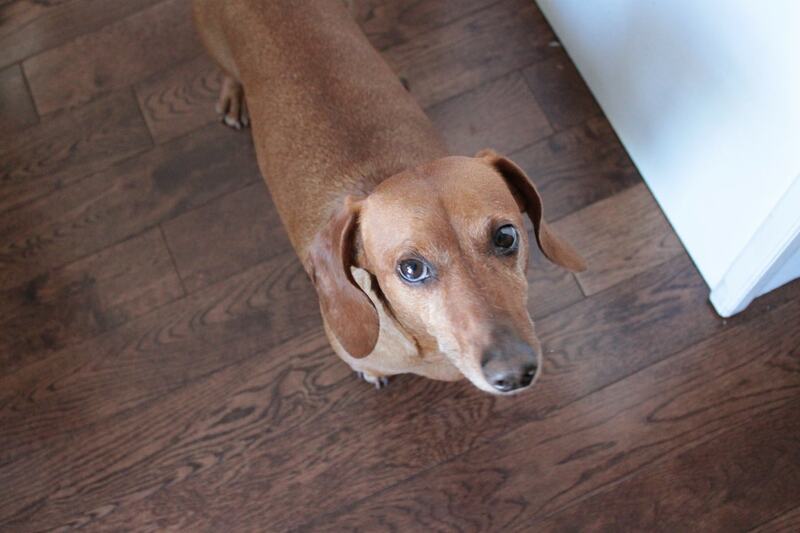 Louis, like our Silas, is the optimist … and opportunist when crumbs drop in the kitchen. Your hanging pails are so cute and I like how your kiddo temporarily dressed them up while waiting for herbs. That photo is a treasure, thanks for sharing it. It is amazing how they can hear crumbs drop from other rooms in the house! Thanks for checking out my blog Judy. yes, I never realized how messy I allow myself to be in the kitchen until I cooked in a ‘dog less’ kitchen…they are forever my clean up crew!